"Paige Holguin saw the posting from her office in Los Angeles. 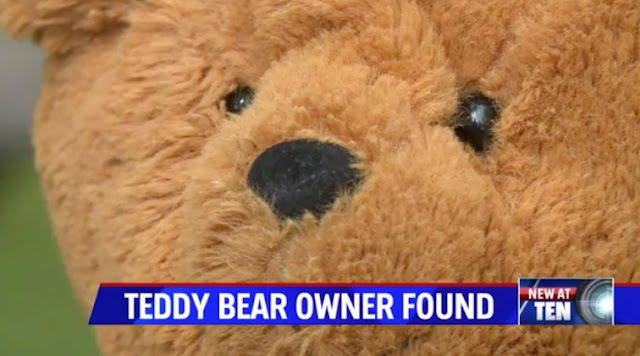 She recognized the bear as the one her late brother gave her niece more than eight years ago. He was a veteran who battled PTSD and lost the bear when he was evicted from an apartment. The bear has even more meaning to Holguin because her brother later lost his battle with his illness and took his own life."